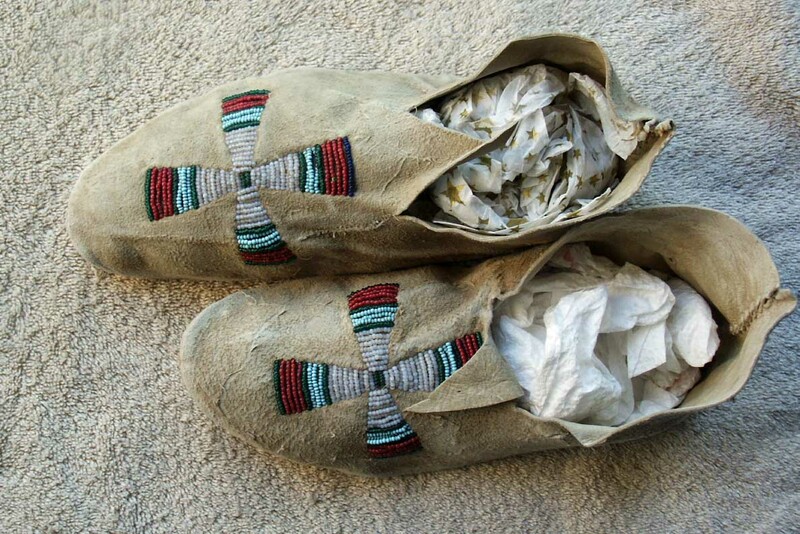 Early 1900's (1910) Partial Beaded NORTHERN CHEYENNE INDIAN Hide Moccasins from the Northern Cheyenne Indian Reservation in Montana. 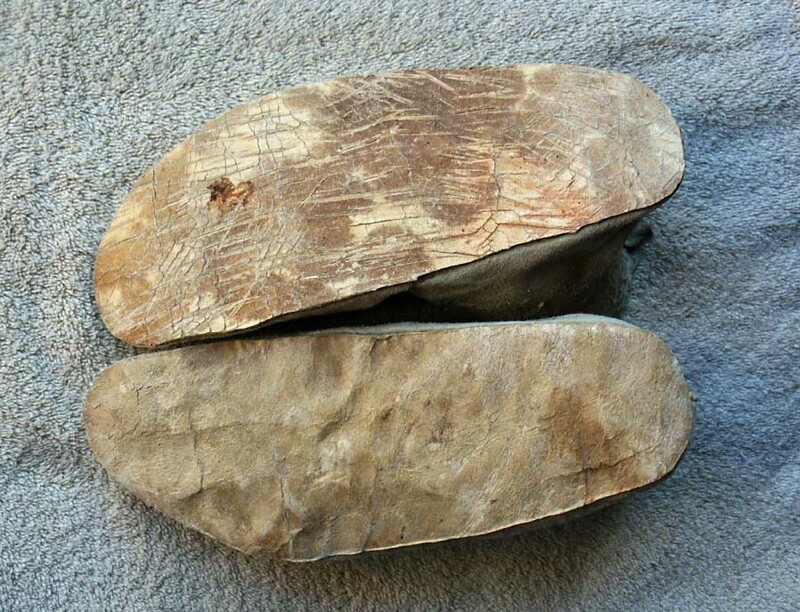 Length of moccasins is 9 1/2". Sinew Sewn. Great Geometric Cross Design Pattern. Typical Bead Colors in Green, Crystal White Cut Beads, , Light Blue and Red . Cross designs are about 4" in length. Hard Hide Soles with no holes, stains, breaks, etc. From a Private Collection of Indian Items located in Southeastern MONTANA. Just recently purchased this large collection and will be listing the various items in the next month. Collection was well cared for and contains some nice rare items. 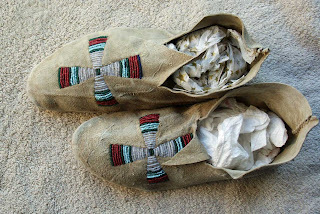 These Moccasins are very collectable especially in this condition. All I can think of is how hard it is to sew beads to leather like that. Very much a piece of art!